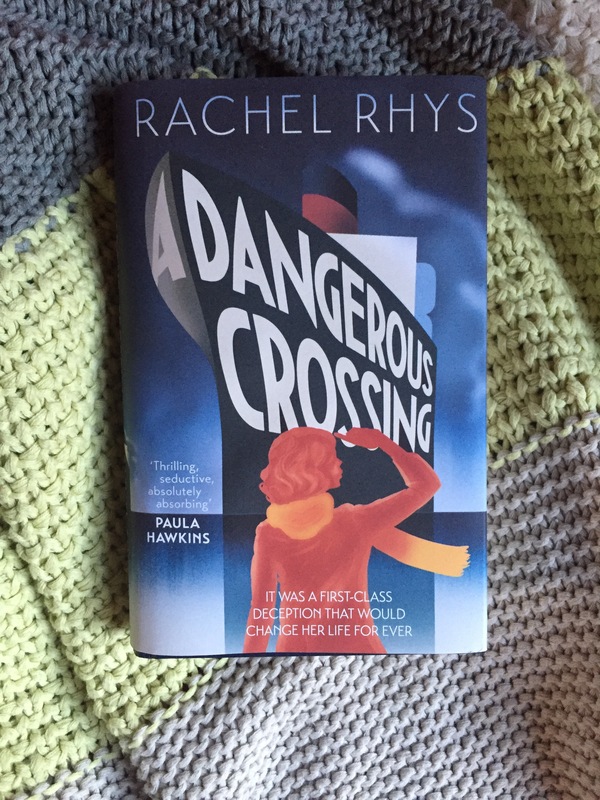 I read a few good books this week, but in the end I picked Rachel Rhys’s A Dangerous Crossing for my BotW, although I realise as I write this that there have been rather a lot of historical mystery picks recently, but I know this is one I’m going to be lending out to various people, so it deserves a mention here. As you may have realised, i’ve got a big soft spot for historical mysteries, but this has a healthy dose of suspense mixed in as well so it does make for a bit of a change, honest! I love the glamorous 1930s style cover for this – although the paperback one looks like its going to be different. Set on a liner on its way to Australia in 1939, it follows Lily Shepherd who is heading down under on an assisted passage scheme to escape her past. On board, she finds herself mingling with people who she would never have socialised with on dry land and is drawn into their intrigues and secrets. By the time the ship docks in Melbourne, two passengers are dead and Lily’s life will never be the same again. The cast of characters in this is really cleverly constructed. Lily is young and innocent in many ways and doesn’t always realise that her behaviour is being judged by other people. A lot of the action focuses around Lily’s table mates at dinner – a brother and sister who are heading to Australia after he had a health scare, a young man whose father is sending him away from the risk of war. There is the upper-class couple who keep visiting tourist class and a young Jewish girl fleeing Austria without her parents. Lily’s massively judgmental roommate and an older companion who is supervising them on the journey pop up to point out the class divisions that Lily is crossing when she is mixing with people they see as above – and below – her station and putting her prospects in Australia at risk. The mystery itself is a proper slow burn – after teasing you with the arrival in Australia at the very start, you then spend a lot of the rest of the book on edge waiting for something bad to happen. And it’s very, very effective. In the author biography it says that Rachel Rhys is the pen name of an “already sucessful suspense author”* so that’s not really a surprise. I thought it was very page-turnery and doom laden but not so creepy as to be terrifying, which makes it pretty much my ideal sort of suspense! A Dangerous Crossing is out now in Hardback and comes out in paperback in August. You should be able to get it from all the usual places (Amazon, Foyles, Waterstones) or order it from the Big Green Bookshop. The ebook edition is availble on Kindle and Kobo and there’s an audiobook from Audible** as well. *It’s Tammy Cohen whose other books look far too terrifying for me – if I’d known when I picked this up, I might not have read it, which would have been a shame! ** You’ll need to be logged in for the link to work.